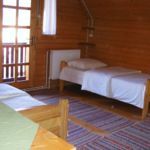 Rooms, services Patakparti Vendégház Parajd is offering 16 tasfefully furnished, nice rooms for those looking for a place to stay at in Praid. The inn ensures a pleasant stay for you and your family by offering chield-friendly services. The inn is pet-friendly, providing a comfortable and pleasant stay for you and your small pet as well. The inn provides a parking space for you without charging any additional costs. You can browse the Internet via wireless connection (WiFi) available at the inn. If you wish to learn more about the exact scope of services provided by Patakparti Vendégház Parajd (including any available for an extra fee) or about the equipment of the rooms, you will find them on the information sheet below and on the information sheet of the selected room. Catering The displayed room prices are without catering. A different type of catering may be requested to the booking, the following are provided by the inn: no boarding, breakfast, half board. Payment Your reservation may be paid by the following methods: cash, bank transfer. To confirm your reservation Patakparti Vendégház Parajd is asking you to pay 25% in advance. Arrival, opening hours The earliest check-in time to your room is 12:00, the latest check-out time from your room is 10:00. The personnel can speak English, Hungarian, Romanian and German languages. Max. capacity: 5 persons: 4 adults and child(ren) under 13. The rating of Patakparti Vendégház Parajd is 9.6 from the maximum 10, 133 based on actual and valid guest ratings and reviews. "Nagyon barátságosak, kedves a személyzet. Nagyon jó helyen van." "Kedves személyzet, finom reggeli, nincs messze a központtól." Based on the reviews and comments of actual guests, the services of the Patakparti Vendégház Parajd have received a high rating of 9.5/10.